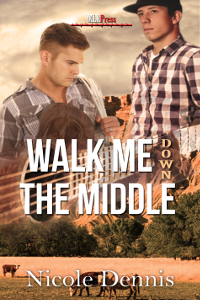 Growing up in small town Montana, two cowboys defy the odds to find music and love. Sage Wallstatt loves music, horses, and his family. He dreams of playing the guitar with a country-rock band. Meeting his best friend at age seven, they became inseparable. Sage's feelings change when he never looks at girls, only Kaden. One magical night alters their paths. Two years later, as Sage scrambles to pull his life together, he has to decide to follow his dreams or stay on the ranch. Should he defy all to walk hand-in-hand with his chosen partner? Kaden Carmody grew up with the best and the worst until he meets his best friend, Sage on a school playground. He finds solace with Sage and their cave hideout. One night changes everything until reality yanks them apart. Breaking free, Kaden returns to figure out the truth of his feelings for Sage, defy his father, and understand the gay man hiding inside.